Mercedes-Benz has always been at the cutting edge of technology. From early inventions like the first vehicle air bags and electronic stability control systems, innovation is simply a way of life at Mercedes-Benz. It stands to reason then, that in our modern era of connectivity and mobile devices, the engineers at Mercedes-Benz would develop some of the newest and most innovative technologies for use on these highly advanced vehicles. Here at Mercedes-Benz of Westminster we recognize that having the latest gadgets appeals to some of our valued customers, but not to everyone. That’s why we’re here to help you understand and use the mobile applications that are available if you want to, but they are purely optional. We also know that folks around the Denver area, including Boulder, Aurora, Lakewood and surrounding areas, tend to be very tech-savvy. That’s why we’ve put together this list of mobile app and other tech features with brief descriptions of what they are and what they do. Now in its second generation, Mercedes-Benz mbrace® technology is a comprehensive system of remote access, mobile applications, vehicle Internet-based access and more. What began as a navigation and roadside assistance tool has evolved to include safety and security features, travel and road condition assistance, even vehicle diagnostic tools. With an increasing number of apps being designed for mbrace®, the functionality of this robust technology continues to grow. My MBFS is the exclusive Mercedes-Benz application that allows Mercedes-Benz Financial Services clients to access detailed account information, make a payment, locate a dealer or other services – all from your smartphone device. There is also a My MBFS app that you can access from your car using mbrace® and your vehicle’s touchscreen monitor. Drive Kit Plus is an application that allows iPhone users to seamlessly integrate their iPhone with their vehicle’s display – virtually extending their device onto their car’s touchscreen. This application works in conjunction with the Mercedes-Benz Digital Drive Style application, and can make using your iPhone safer, easier and more enjoyable on the road. If you need help replacing a flat tire or jump-starting a battery, or if you need fuel or a timely tow, this free app will alert Mercedes-Benz Roadside Assistance of your exact location and let you know exactly when help will arrive. 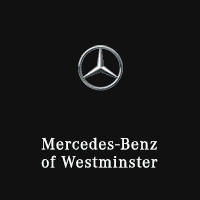 See for yourself and come visit Mercedes-Benz of Westminster! We are conveniently located at 10391 Westminster Boulevard in beautiful and historic Westminster, Colorado. Sales Department – Our highly-trained staff of sales specialists will answer all your questions and help you pin-point just the right vehicle for you. Service Department – With expertly-trained technicians, our state-of-the-art service center will keep your beloved car in top-form, and get you back on the road in no time! Parts Department – With our knowledgeable staff and vast inventory of genuine Mercedes-Benz and OEM parts, we will either have the part you need or we’ll order it, guaranteed! Financing – With budget-friendly options, and a simple and fast application process, our finance team is ready to find you the loan or lease you (and your wallet) need to drive home happy!